Spectrum releases six new products in the presentation and mobile computing management lines. Being unveiled today at InfoComm 2011 in Orlando, Florida, Spectrum's new products should fill everyone’s needs. 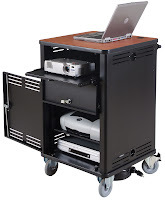 Spectrum Industries Inc has just released two new mobile computing management carts, three presentation lecterns and an AV cart. 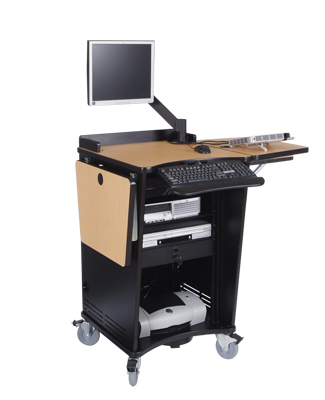 With these new products, Spectrum offers one of the most complete lines of educational and presentation furniture. Spectrum’s customers have been asking and we’ve been working hard to design the products you want! MOBILE COMPUTING MANAGEMENT Mobile computing management can mean a lot of things, but we are offering solutions that will fit your needs. 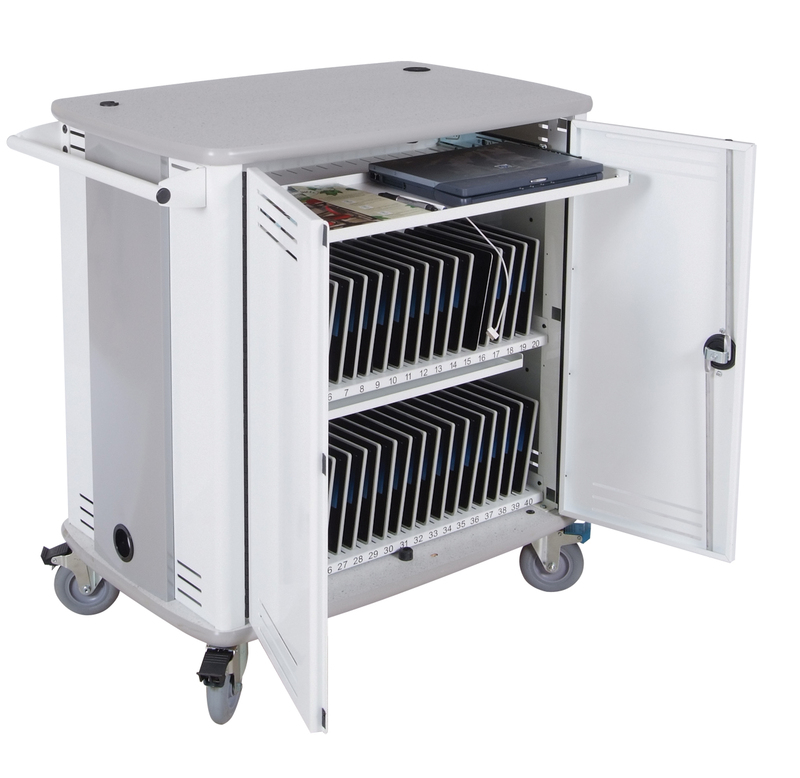 Whether you have iPads, e-readers, tablets or full-sized laptops, Spectrum has a cart to securely store, charge and manage software on them. The InTouch40 Tablet Cart is designed for securely storing, charging and syncing tablets like the Apple iPad, Motorola Xoom, HP TouchPad, RIM BlackBerry PlayBook, Samsung Galaxy Tab, Amazon Kindle, B&N Nook, or any USB capable device. The Impression 30 Imaging Cart can store and charge up to 30 full-size laptops and has Ethernet capabilities for software management or disk imaging. 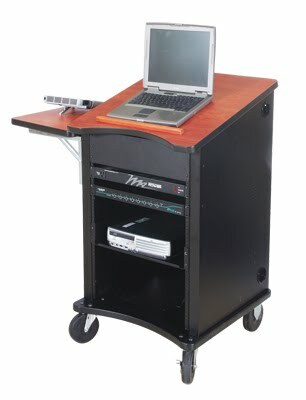 INTEGRATION/PRESENTATION With tight budgets and crowded classrooms, storing high-tech presentation equipment can be a real pain. 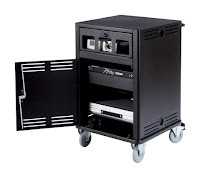 Spectrum introduces a cart and lecterns to meet the presentation needs for tight classrooms and tight budgets. The Moderator AV Cart is a small-footprint projector cart that can securely store all your equipment needs in 11 rack units of space that can be increased to 22 ru with optional rack rail. 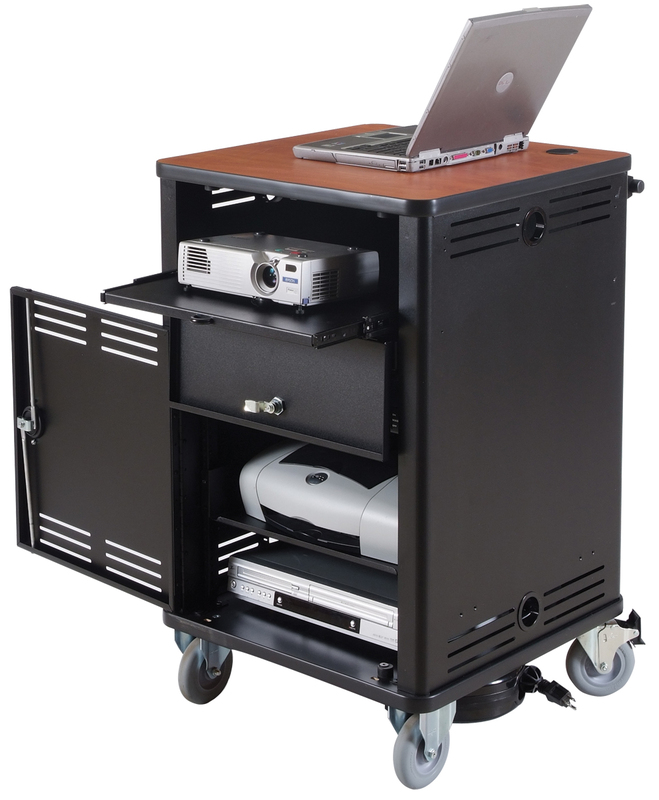 The small size allows the cart to be used to go between the tight aisles of a crowded classroom. The Moderator Multimedia Lectern takes the Moderator AV Cart one step farther by adding a durable laminated worksurface for a laptop or for keeping your notes. 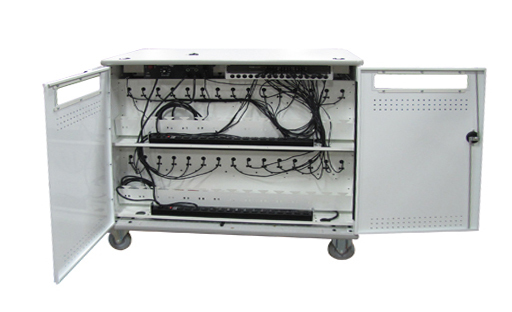 It has a pull-out projector shelf for better equipment cooling and the same rack units as in the Moderator AV Cart. For a lectern you can both stand behind and pull-up a stool and sit behind, look to the Inspiration Lectern. Not only does it have an inviting appearance, it comes in two heights that can accommodate up to 19 rack units! For the look of a classic lectern, look to the Academic Lectern. It may look like an old fashioned lectern at first glance, but it can store the equipment you need for a high-tech presentation. The Academic lectern gives you both worlds – classic style in touch with technology. For all your needs furniture needs for classroom, office or the healthcare industry, look to Spectrum. For a quote or more information, call 1-800-235-1262 or visit http://www.spectrumfurniture.com./ Innovative furniture connecting you with technology.